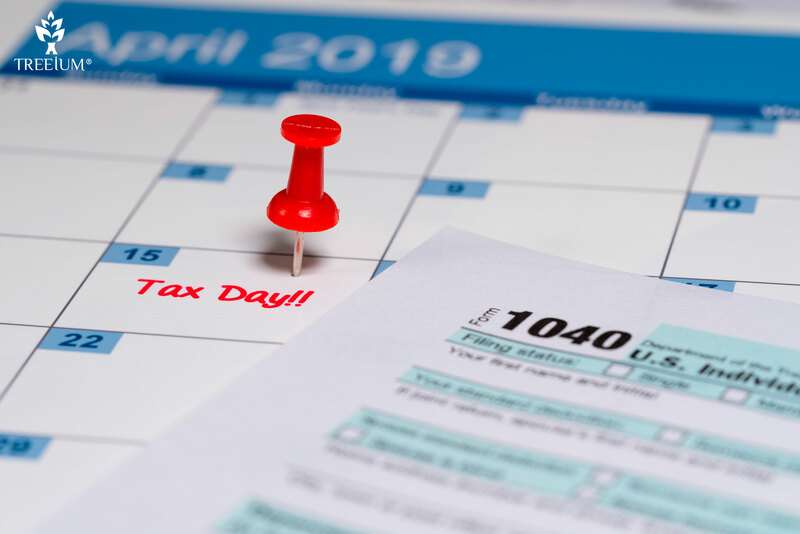 Posted March 28, 2019 by Treeium Inc.
April 15, 2019 is tax day and while many retailers are offering tax free purchases on everyday items, we at Treeium like to take a long haul approach that will not only help you save on utilities today but will also offer up potential long-term gains by increasing the equity of your home. The tried and tested axiom that “you shouldn’t work for money but let your money work for you” goes hand in hand with the idea that it is better to work smarter and not harder. This year is no different and here is why Treeium encourages you to consider building your investment by reinvesting your tax return into a home renovation today. Our expert team of skilled professionals take an Eco-Friendly remodeling approach that could net your home 60%-120% of your initial investment by way of something as quick and easy as a kitchen remodel. Treeium understands that the kitchen is the heart of a home, where meals get prepared, homework gets competed and family and friends gather to create memories so it’s no surprise that a kitchen remodel is the number one renovation project and one of the best investments you can make. Remodel projects can range from minor updates and renovations like cabinet refacing or countertop replacements, to reconfigurations that allow families to expand on a space while making it feel more comfortable and efficient. Treeium also specializes in major remodeling and expansions that could assist in a completely new kitchen build. However, if at the moment a new kitchen isn’t right for you, check out our bathroom remodel offerings that experts estimate will recoup 80%-130% of your investment. Whether you are looking to update your plumbing fixtures, make the space more efficient, turn your bathroom into your own personal spa, or even add an entire new bathroom, Treeium can help you create the space to meet your needs. As an added bonus Treeiums ecofriendly approach that creates green thinking solutions as a bathroom remodel involves many different aspects like plumbing, lighting, and finishes, to name a few, all of which can be done in an energy-efficient, water-efficient, and environmentally friendly way. Low-flow faucets, shower heads and toilets, along with cabinetry, countertops, and flooring made from sustainable, non-toxic materials, can help create a space that is efficient, healthy and beautiful in equal measures. The result is an oasis-like space you won't want to leave! Whether you are looking to build or remodel a small powder room or a luxury bathroom, our bathroom contractor’s expertise can help you achieve your dream. So this spring, let’s take what Uncle Sam has given back and invest in our homes, in our planet and most importantly, ourselves.